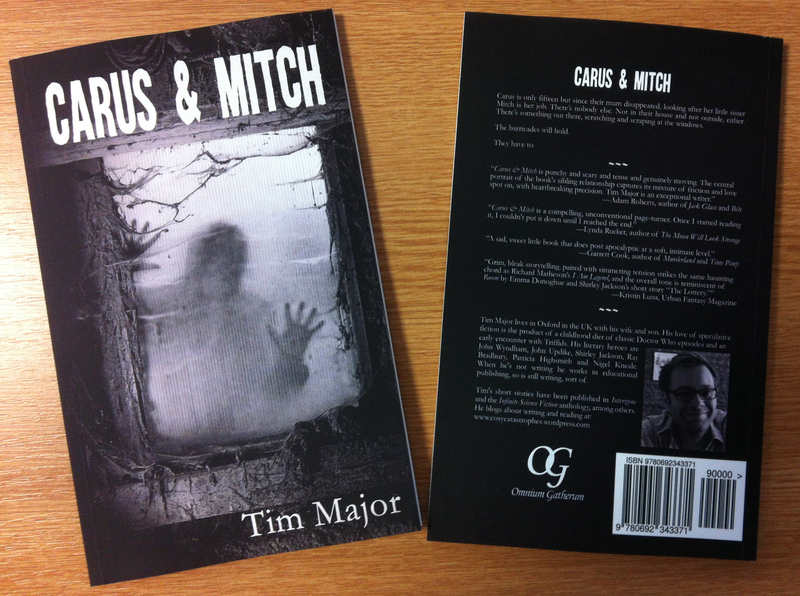 I hadn’t really thought about how it might feel to hold a physical copy of Carus & Mitch. It turns out that it feels very, very good. It’s a satisfying, neat little package. I’m so grateful to Kate Jonez at Omnium Gatherum for taking a chance with an unknown author, and for producing such a lovely little book. Also nice: Carus & Mitch is picking up positive reviews. 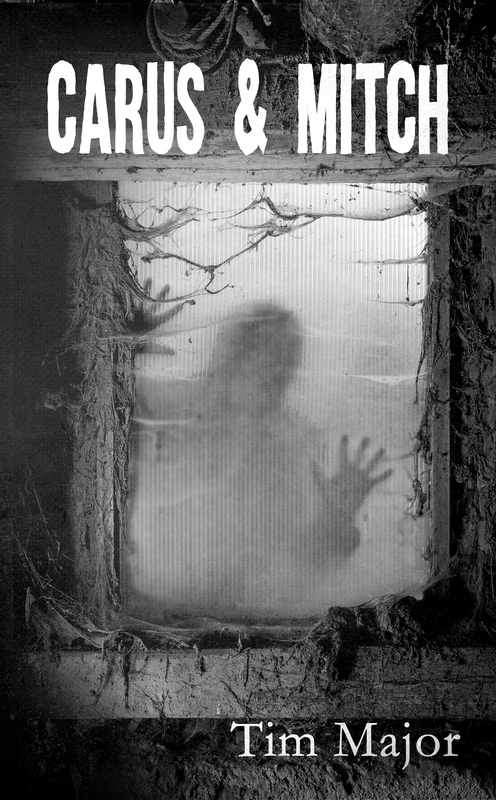 Here’s a new one from Horror After Dark, also published at Char’s Horror Corner. I’m very pleased to reveal the cover for Carus & Mitch, which will be published by Omnium Gatherum on 23rd February! My novella, ‘Carus and Mitch’, will be published by Omnium Gatherum Books in February next year. You can read the announcement on the OG site here. As you can imagine, I’m feeling pretty pleased about it! Omnium Gatherum seems a great home for the story – I discovered the company due to previous titles being nominated for the Bram Stoker and Shirley Jackson awards. I haven’t read any of the other OG authors’ work yet, but you can be sure that I will. I’m really looking forward to the sequence of editing, proofreading, cover design, and all the other aspects of getting a book to publication. Kate Jonez, who runs Omnium Gatherum, has been wonderful in our email chats so far – I think working with her is going to be fun. I’m also very grateful for her decision to take a punt on a story that’s tricky to classify and, at 17k words, isn’t exactly lengthy… Here’s hoping that readers feel the same, come February! More ‘Carus and Mitch’ news to follow in due course, no doubt.